Calculating PTO by hand is a not a simple task. There are many rates to choose from and the calculations aren’t always intuitive. 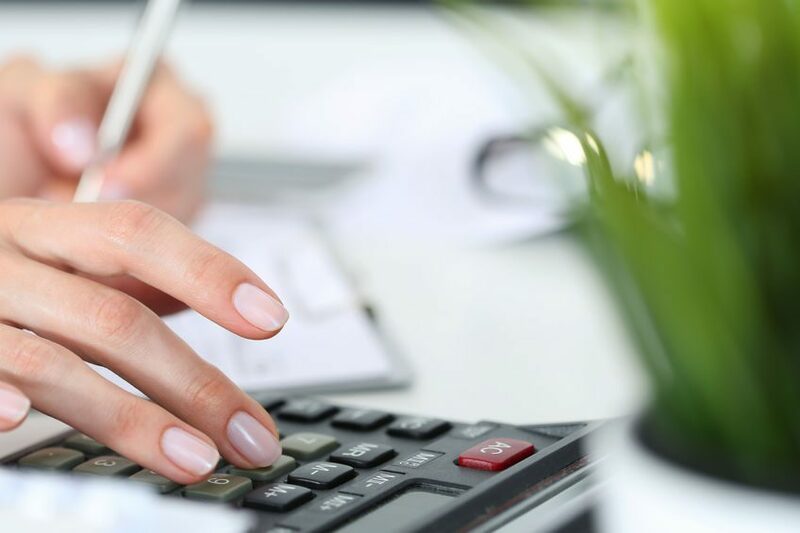 For this reason, most small business owners just end up using a yearly accrual rate. This method is easy. You just have to decide how many days employees should get per year and give it to them in a lump sum. However, if you’re a little more math savvy, you can calculate PTO with other accrual rates that may be a better fit for your business. I’ll explain the different rates and the calculations. No matter which accrual rate you choose, your employees will get a certain number of hours to use per year. The accrual rates vary in the frequency at which employees earn their time. Before you calculate PTO, you must decide how many hours you want your employee to accrue per year (based on a full time schedule) – maybe it’s 40, 80, or some other number. In the sections below, we’ll figure out the amount of time employees should earn at each pay period. A yearly accrual rate is great for long-term employees or employees who have already put in a year of tenure. Calculations are pretty basic. When an employee takes time off, subtract it from the running total. At the beginning of the year or on the employee’s anniversary date, add their time to whatever is left over from the previous year. But many companies don’t want their employees to have to wait a full year to be able to take some vacation time and so they will use any of the following rates instead. Accruing time by hours worked is a special accrual rate which does not guarantee a certain number of hours to accrue per year. This is a great rate for part time employees who work variable schedules and it is also used to fulfill sick time requirements. If you want their vacation time to reflect the actual time they put in at the company, then this is the rate for you. Part-time employees will get fewer hours than their full time counterparts, and employees who work overtime would earn more. Decide how many hours you would want your employees to get each year if they worked a regular full time schedule. For this example, we’ll say 80 hours, or two weeks. Next, figure out how many hours your employees would work in a year if they worked full time. This would be 40 hours times 52 weeks, minus the time off (and any paid holidays). In this example the employee would work 2000 hours per year. To get our accrual multiplier, we’ll divide 80 (hours in two weeks of work) by 2000 (hours worked in the year) to obtain .04. So for every hour our employees work they should earn .04 hours of PTO. If you are using our service to track accruals, you can set this number in the system. Then your employees will earn appropriate PTO automatically regardless of whether they work 50 hours a week or 30. For this accrual rate, it’s really nice to have a system do the work for you because this is a little more math-heavy than the other accrual rates. A daily accrual rate is another good rate for part time employees. But the caveat is that these part timers must work full 8 hour shifts. This is not a great rate for employees who work part time shifts. To figure an employee’s accrued time based on a daily rate, you will divide the number of hours to accrue per year by the number of working days in a year, so 5 days x 52 weeks. For an employee working 40 hours a week, getting 80 hours of paid time off per year, you will divide 80 by the number of working days in the year. 80/260 gives you .307. Multiply .307 by the number of total days in your pay period to the see PTO in each cycle. If the employee worked 5 days in the pay period, you would multiply 5 x .307 = 1.535. So this employee would get 1.535 hours of paid time off in this pay period. If he worked the full year, it would add up to 80 hours. If the employee just works 4 days a week then he would get 1.228 hours each pay period. Besides once yearly, these rates are the most common and it’s not too hard to calculate either. Divide the number of PTO hours granted per year by 24 for twice monthly or by 26 for every two weeks. So employees given two weeks of vacation per year will get 3.333 hours each bi-monthly paycheck. This accrual rate will be a little easier to handle than the daily or hourly rate since employees will see the same amount on each pay check. It’s also a little less confusing and easier to figure out an employee’s current PTO amount if records go missing. Let Timesheets.com do these calculations for you! No matter which method you choose, the software will do the calculations each period and you won’t have to keep separate records or worry about making costly mistakes. Make it easy on yourself with Timesheets.com. Where does the 3 week vacation piece come into the equation? My total hours 290.75 divided by 25 week look back = 11.63 average hours worked per week. So for every hour I work I should earn 0.2.975 hours of vacation. Is this correct? So for every hour I work I should earn 0.3101 hours of vacation. Is this correct? My vacation leave in the pay slip is 11.364.so how many day or week should i take for leave. If I work12 hrs.and I have4week’s vacation time what would that total ? Also is it right that the company changes your vacation time to PTO I’m sure they’re ripping my off that’s just what they do ! I have a question for you: what is the organization’s expense for an employee that earns $50,000/year + vacation allowance of 2% or $ 2,000/year? Y02 – Wages 48,000 ( the employee took the vacation allowance) + Accrual $2,000. Expense 50,000. Here is where I am confused: The time off taken by the employee is being paid out of the accrual account (reducing it) and the time worked out of the wages account. The employee accrued another $ 2,000 this current year (accrual includes the time off work), so the liability account is back to its balance of 2,000. However the expense for the organization is lower than the previous year. is that right? I feel I am missing something … would love to hear your feedback. I admit I’ve never seen a scenario like this before but here are my thoughts on what I see here. In the first year, your company paid $50k, not $52k because the employee didn’t actually take the time off in that first year – she only accrued it. The second year she was paid $50k again except that this time $48k came from the wages account and $2k from the accruals account. Each subsequent year it will be the same (unless she gets a raise). Let me know if you think I’m missing something! Our company requires time off to be approved. In our case it is 1 mo ahead of time, *unless* they can make arrangements to get their shift covered ahead of time. So I want to calculate the days vacation the have remaining. Do I take the Vacation Owed $625.00 divide by their rate/hr $19 divide by their work hours 8hr shift equals 4.11. So about 4 days of vacation owed. Right? Hi Tom. If you know you owe your employee $625 for vacation but aren’t sure how many hours that is, then, yes, divide that by the hourly rate to get 32.89 hours. That’s .89 more than 4 days. Is there an easier method to this type of calculations? Want to calculate hrs. if In Time is [10:00 PM] and Out time is [6:00 AM Next day]. I have tried =TIME(HOUR(), MINUTE(), SECOND()) – TIME(HOUR(), MINUTE(), SECOND()). but not works if the Duty hours going in two days. Please help if you can..? If my hire date was 12/15/2005 my pay rate is $21.50 what is my accrual rate. You’ll have to ask your employer. i have a question an employee from my company was hired on Nov 1, 2016, and left Feb10, 2017. His package includes 120 hours of vacation. How many hours he accrued until his last day. based on the calculations he accrued 33.8hours is this wrong or right? What accrual rate were you using for him? If it’s monthly, then your number looks right. if I have 4 weeks vacation, what is my accrual per month? If I work 40+ hours a week and get paid weekly. What are the calculation breakdown for weekly PTO? I accrue 1 and 1/3 days leave for every week i am on the job. I don’t really know anything about accruals tracking in excel. Timesheets.com offers automated accruals tracking though! Are vacation hours accrued during the year they will be paid or during the previous year? I have an employee who is leaving and she says her unused vacation pay was accrued the previous year and she should be paid for her full 4 weeks vacation rather than the one week she has accrued thus far this year. The amount of paid vacation time employees receives each year increases with the length of their employment as shown in the following schedule. The length of eligible service is calculated based on a “benefit year”. This is the 12-month period that begins when the employee is hired. Once employees enter an eligible employment classification, they begin to earn paid vacation time according to the schedule. If I read our policy right an employee is not eligible for vacation until they reach there anniversary date. Because we have a use it or loose it vacation policy this causes issues for employees hired late in the year. For example if someone was hired December 15th they would have only 2 weeks to use their vacation. The same problem exist for employees that increase vacation leave eligibility due to tenure. I don’t like accruing vacation on each pay check for reason you have previously stated. Does the policy require that employees lose it by December 31st or is it by the end of the anniversary date? My situation is similar to Doug’s, except my employees get 1 week after 1 year; 2 weeks after 3 years and 3 weeks after 6 years of employment. They must use their vacation by December 31. Does this make the proper adjustment for the employee’s start date? Hi Susan. This is a complicated scenario. Rather than having a use-it-or-lose-it policy that expires for all employees on the last day of the year, why not either have it expire on the employee’s anniversary date? Or, if you use our service, setup a policy that allows employees to keep their accrued time but never accrue more than their total allowed. As for your calculations, it doesn’t look quite right to me. If the employee starts in May 2016, then in May 2017 they should be earning 2 weeks. So on your second line “5 days from 1/18 and 12/18” this is going into the second year and so they should have more than just 5 days. Say the employee turns in their two weeks notice on April 10. His/her last day is April 24. The employer then tells the employee that he/she is getting no vacation time paid out for the month of April. Does this make sense or is it even legal?? I would talk to a lawyer about it. It’s a pretty specific question and probably depends on the employee handbook at the company. For example, if an employee accrues time monthly for the previous month then no time for April would have yet accrued. A lawyer would know this for sure. I was hired back in Aug 2010. I earned my vacation on my anniversary month, which is 4 days/yr for the first 3 years and then 8 days/ year there after. The old manager quit and the new manager came aboard and wants to change our accrued hours from anniversary month to a calendar year. I got my 8 days vacation days up til August 2016. Then, my hours was cut in Jan 2017 and my vacation also got cut to only 3 days/year. My question is: I never got compensated for the accrued hours from August to dec 2016. When I asked my manager, she told me that since I earned my 8 days in 2016 already, it doesn’t matter anymore and I am maxed out, is that true? Assuming that you mean you have 170.57 hours of sick time, then just divide that by 8 (hours in a day) to get 21.32 days. Hello, is it common to not earn the time off if you use your PTO that week? Such as, if you use any of your time, you will not recieve the full 1.54hrs that you would have earned if you worked the full week. Yes, if you are accruing time based on hours worked, then you would not accrue it while you’re not working, i.e. on vacation. I accrue 3.07 hrs per week towards PTO, how many hours/weeks does that come out to? How did you get that number? I believe you would do 3.07 X 52 weeks = 159.64 divided by 8 hours = 19.96 days. That would be for a full year. The 3.07 is earned per full 40 hour work week. That means if you take a day off in that time you will accrue less. I am part time for 12 years and my company has been taking my accrual rate and multiplying it by my 25 hours per week. (My annual accrual hours for time off is 126). If I only happened to work 23 or 24 it would get multiplied by that. This year all of a sudden my numbers aren’t matching theirs and I found they are deducting all holidays and any paid time off (vacation/sick) and then multiplying the accrual rate. So If I took 3 vacation days they are multiplying the accrual rate x 10 instead of 25. Can they all of a sudden start doing this? Because now it seems I won’t accrue my 126 hours. (Before this accrual mess I would receive annually 4 weeks vacation and 5 sick days) I feel like I’m being jipped. As I understand it, what they are doing seems fair. Time off hours are never used in accruals calculations. If they were doing this before, it was probably a mistake. What is the multiplier that they are using? As long as the multiplier is based on your yearly hours worked, minus the hours you take off, then all should be correct. I then calculate vacation earned by calculating the amount of time they have been with the company. So for example if they started on January 1 and left the company on June 30, we would pay them out approx. half of their vacation benefit. For an employee entitled to 4 weeks vacation, they would have earned approx. 9.89 days. do you know the law if the company gives you 4 weeks at the beginning of the year and you have until the end to use it. Am I entitled to what is not used? Im starting a new job and this is what she emailed me regarding the policy. Can someone help me out on how to calculate. Our employees receive 5 sick days in January. New hires are prorated based on their hire date. I have provided a copy of our vacation policy below. Please let me know if you have any questions. Time off may be used only in one hour increments, unless otherwise required by law. Eligible employees are allowed to carry 40 hours (5 days) of accrued time off into the next calendar year, unless applicable state law requires otherwise, in which case the Company will follow applicable state law. I am trying to figure out what an emplpoyee accrues in vacation time if they accrue 20 days per calendar year at a rate of 1.66 days per month after hire. What does 1.66 days equal as far as hours if the employee is paid every 2 weeks and the time is reflected on each pay check and there are 26 paydays in a year. Please help. So employees will get .769 hours of time off on each paycheck. By the end of the year, they will have their 20 days. Help! I was hired 9/21/2009 and my last day is august 17, 2017. How much vacation time and sick have i accrued ? Every year i get 120 vacation and 40 sick. i also have 66.5 unused vacation. Hi I have 3 weeks of vacation ( 5 days) per year and I just started the job in April 1st 2017. By the end of December, how many vacation days should I be able to take? This company also does not allow us to use the days into next year. We have to use it in the current year or we lose it. please advise if I use any of my accumulated vaca days, do I lose anything for 2018? You should talk with your human resources department or your boss about that. It can depend on factors specific to your company. I work 85 hours every two weeks (10 work days). I’m confused with trying to find how much vacation time I should have each year? Can you help? It depends on what your company offers. Company policies vary. Hi, I’m trying to apply the monthly pro-rated formula to get my accrual rate so I can project how much I will earn by a certain date, but I’m not sure if I understand how it was worded. So from what I understood using a monthly rate, I tried 80hrs vacation per year divided by 12 = 6.67. I know I’m not earning 6 hours per hour worked..Is there another step? I have an employee that was hired on 5/15/17. If he was hired 1/1/17, he would get 12 hours of personal time to use for the year. Since he was hired mid-year, I need to know how to prorate this amount. He is an hourly employee and works 40 hrs. per week and is paid weekly. How many hours of prorated personal time would he have to use before the year is over? Which accrual rate do you use for him – monthly, yearly? Also, did you mean that he gets 12 hours of personal time to use in a year, or did you mean days? Feel free to give me more details but assuming you meant days and assuming it’s a once yearly accrual rate, then he’s getting one day per month to use. He didn’t work for you for the first 4 and a half months so subtract that out to get 7.5 days. I would use the yearly accrual rate and I meant 12 Hours. Ok, so 7.5 hours for the year then. My question to you is I have some employees who work 6 days a week and work only 7 hours per day. So each week they are getting 2 hours of OT. Our company’s contract states after 1 year they get 1 week of vacation pay. My question is do I give them 40 hours a week? Or do I give them 42 hours a week due to because they do work OT? Your policy can be whatever you want it to be since offering vacation is not the law, so offering only 40 hours of vacation is fine. It would be a better policy, though, if your employees thought it were fair. They would have a hard time taking a week off if, when they do, they’ll lose two hours of pay. I would go with 42 hours of time off for these employees. We’re really struggling on how to apply vacation hours. We are a very small agricultural company (grape growers). We give 50 hours vacation per year for full time employees working 50 hours/week. Some of our employees only work for 9 or 10 months of the year but we have some that come back year after year. How would I create a calculation for them to earn their vacation hours based on hours worked? To get your accrual multiplier, we’ll assume your employees work a regular full time schedule and get 50 hours vacation. The calculation would be 50/2030=.0246. If an employee worked 10 months with this multiplier, they would get about 50 hours off. Let me know if this helps. Using the hours worked rate usually won’t yield the exact number of hours off. I just approached my boss with your great accrual formula for seasonal employees but I am now thoroughly confused! He wants them to start accruing after 1560 hours worked. They should accrue up 50 hours per year. I don’t know how to figure this out – I’d really appreciate your help. I get the process of converting all employees at the same time from anniversary date to calendar date and awarding appropriate vacation time, but how do you prorate or transition a new employee into the system? If an employee starts on 9/27/17 and the PTO policy starts earning day 1 and is earned per hour worked, PTO awarded as follows: 0-1 year 32 hours .01626, 1 year 40 hours .02040, 2 years 48 hours .02459. This was calculated on 2080-112= 1968 hours worked. I need to transition the new employee in and have them on a 1/1/18 date. How do I prorate this? I don’t see anything on my situation. In May 2017 I was told my hours were being cut and I would be part-time as of 8/1/17. My vacation hours for 2017 (10days) were earned in 2016. In 2017 My vacation hours increased to 15 days @ 37.5 hours/week so these would be put toward 2018. If I calculate for 7 months (Jan 1-7.31) using the bi-monthly formula—- I get 4.69 hours earned per period. So for 7 months I have earned 65.66 hours PTO. How do I calculate the part time hours from 8/1-12/31? I have worked 373 hours. I’m confused. I need to prorate an employee’s vacation time for unpaid leave of 7 weeks time off. Vacation time is 10 days / 80 hours annually. How would I calculate this? What would the correct amount of vacation time be with the adjustment with the 7 weeks of unpaid time off when vacation time is not accrued? I use excel for tracking vacation accruals – what formula would I use when an employee bumps up to the next accrual tier mid-way through the year? For example, John accrues .385 Jan – Mar but his 5 year anniversary is at the end of March so he begins to earn .577. How do I combine the two accrual rates within the same year? Getting a break from work is, ironically, something that many people work very hard for. Today, vacations are more valuable than ever. The only thing you can not get is more life time on this planet, so if you are not satisfied with the amount of vacations you currently accumulate, use aggressive strategies to get more. When I was hired I signed a welcome letter stating after a 90 day probation period I was emigre for 2 sick days and 3 vacation days. After 1 year of employment I am entitled to 3 additional days. I was not given any policy so I assumed it went from Anniversary date to Anniversary but they do it by calendar year. So if I was hired May 2009, I didn’t use any vacation time till 2010 . If I give notice this month, Jan 2019, am I entitled to my 6 vacation days upon leaving? I assume the days were earned by working the previous year.